Jadrien Burbano of La Harpe, recently returned (November 17th) from working at a public relations firm in London for 6 weeks. 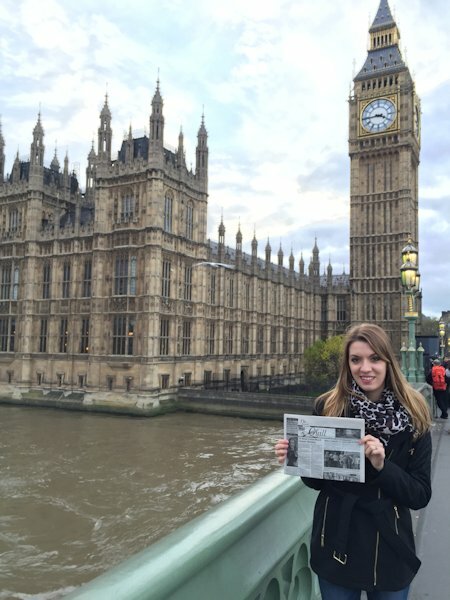 She took "The Quill" along and captured a picture in front of Big Ben and the Houses of Parliament. "London is an amazing city and I'm so glad I had the opportunity to go there!" Jadrien said.